Maldives Aggressor II is a 41 metres long, 8.5 meters wide spacious and professional dive yacht, it is diesel-powered, cruises at 12 knots, built to Lloyd’s Registry and American Bureau of Shipping Standards, it has 110 volt and 220 volt at the camera charging and computer stations. For other areas, it provide 110 volt, we suggest guests bring USA 110 to 220 twin pin socket adaptors. 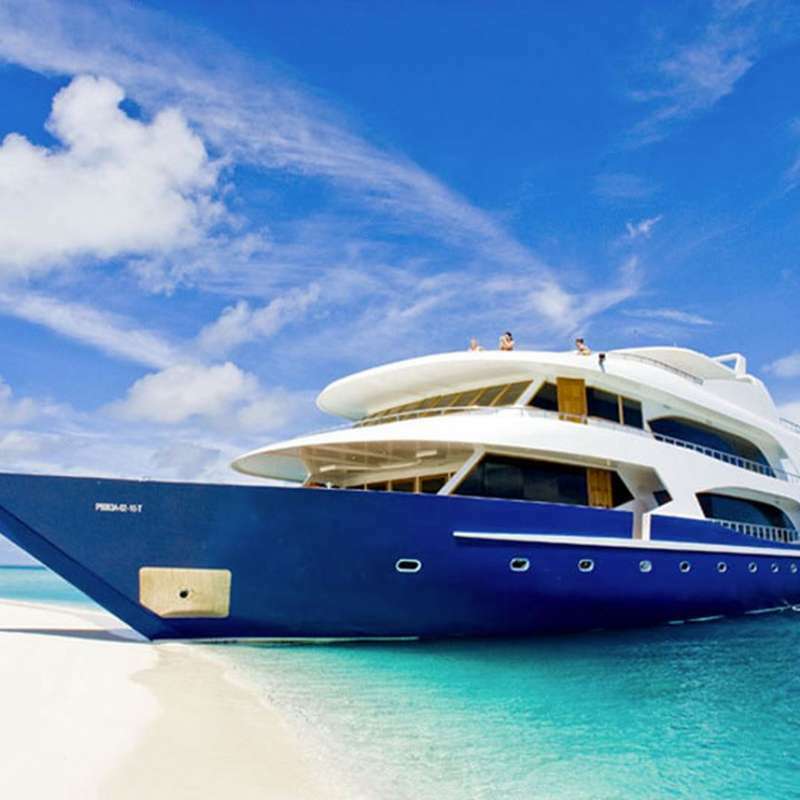 Maldives Aggressor II features a beautiful spacious salon with separate dining room on the mian deck, there is an entertainment center includes a TV, DVD and music player and an assortment of movies, games. If you have a favorite movie, digital presentation or a video to share, we encourage you to bring it along. The crew especially loves new releases of movies, recent magazines and books. A small library of books for exchange is maintained onboard as well as fish identification books for reference. The menu aboard is varied and plentiful with American feasts and local cuisine. If you have any special dietary requirements, please tell our booking agent know, so the chef can adequately prepare to meet your needs. Maldives Aggressor II's beverages selection includes fruit juices, soft drinks, iced water, iced tea, coffee, and a limited selection of local beer and wine, which are complimentary. Once you consume alcohol, you become a snorkeler until the next day. On the top sun deck, there is a shaded seating area with open view on the sea, and for those who enjoy the sun there are cushioned benches for relaxation. In addition, there is an hot jacuzzi located on the back of the top sun deck. Maldives Aggressor II comes with a "diving dhoni", all dives are carried out from this dhoni. Every diver will have his own seat and his own basket where he will store his diving gear, which will always remain on the diving dhoni. 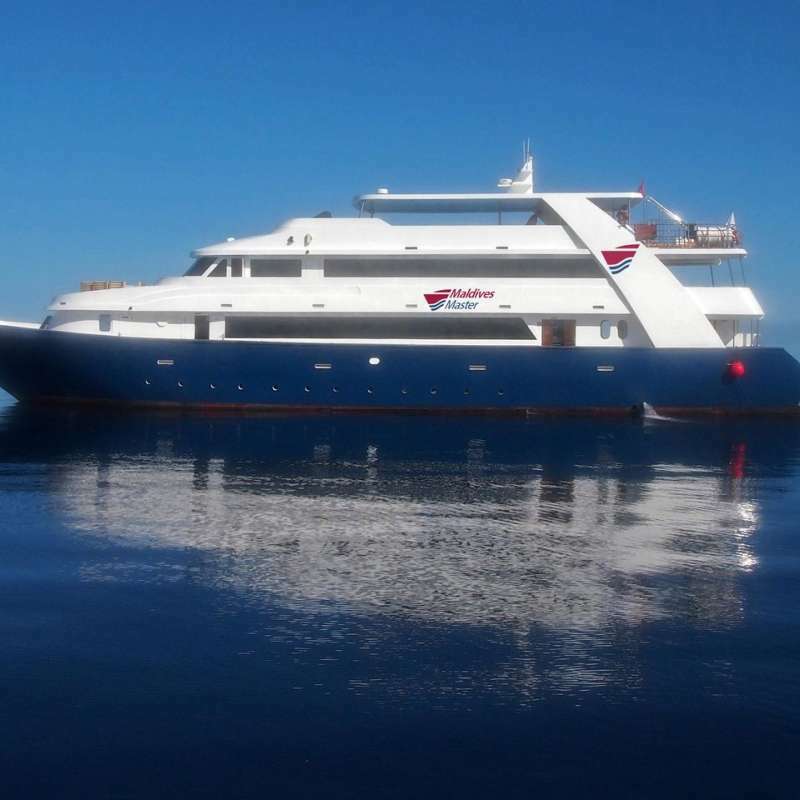 The system leaves the main boat free to handle accommodations, meals and social activities in a quiet atmosphere. All staterooms have ensuite bathrooms with shower, closet, porthole, hairdryers and individual AC climate control. Located on the upper deck, room size 14-15 sqm, each cabin comes with a queen-size double bed (63 x 80 inches), private bathroom and picture window. Located on the upper deck, room size 14-15sqm, each cabin comes with two single beds side by side (39 x 80 inches) that can be combined into a king bed (78 x 80 inches), private bathroom and picture window. Located on the main deck, room size 29sqm, this cabin comes with a queen-size double bed (63 x 80 inches), private bathroom and a panorama window. Located on the lower deck, room size around 18sqm, each cabin comes with two twin beds side by side (39 x 80 inches), private bathroom and portholes. 3 - 4 dives a day, including night dive. 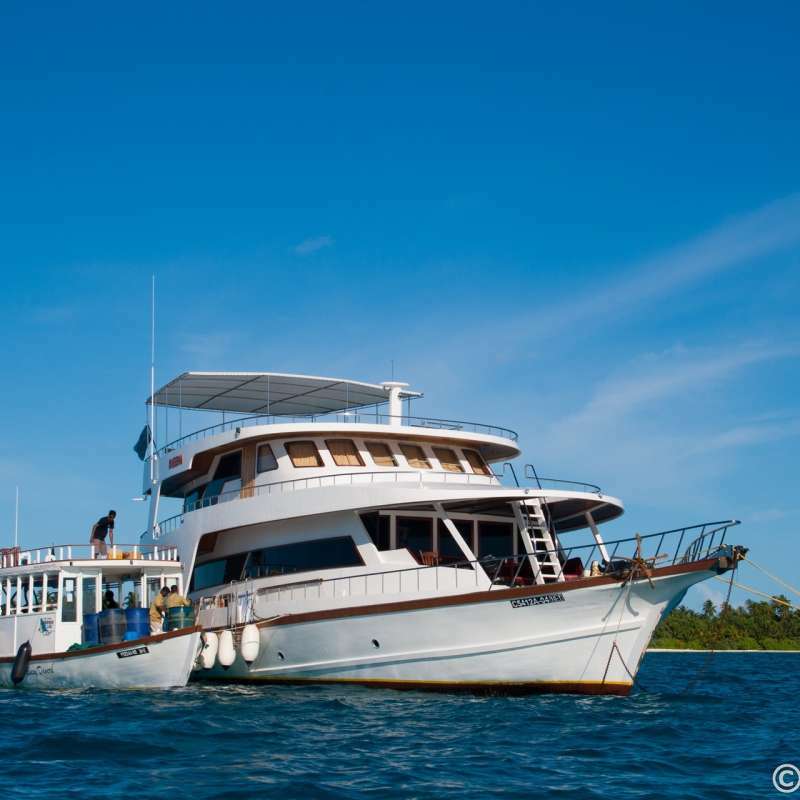 Le Sheena est un authentique bateau des Maldives qui offre l’opportunité unique de découvrir le sud des Maldives, loin des traditionnelles croisières de plongée. Il peut accueillir un maximum de 14 personnes à son bord. Gurahali est la croisière idéale pour de petits groupes qui souhaitent le bateau rien que pour eux. Il propose des croisières de plongée à partir de 7 nuits jusqu'à 2 semaines autour des fameuses Atolls centrales des Maldives. Le bateau peut accueillir 14 personnes à bord.